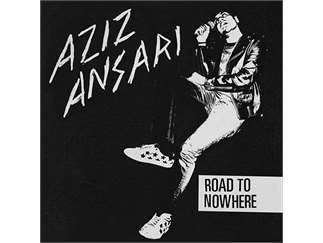 Aziz Ansari is bringing his "Road to Nowhere" Tour to Grand Rapids! The MASTER OF NONE star will take the stage at DeVos Performance Hall on Friday, April 26th at 7:30PM. Aziz Ansari is a stand-up comedian, actor, writer, producer and director. Ansari stars in his Emmy Award-winning Netflix hit MASTER OF NONE, which he also writes and directs. Among several other awards and nominations, the show has earned him a 2017 Golden Globe Award for "Best Actor in a TV Series, Comedy" as well as nominations for "Best TV Series, Musical or Comedy" in 2016 and 2017. In 2017 Ansari was honored with the Charlie Chaplin Britannia Award of Excellence in Comedy, a SAG nomination for "Outstanding Performance by a Male Actorin a Comedy Series," and the WGAW Evan Somers Award for outstanding writing featuring characters with disabilities, for the MASTER OF NONE episode "New York, I Love You." Aziz co-starred opposite Amy Poehler in the beloved NBC series PARKS AND RECREATION for the show's entire seven season run. Aziz's portrayal of government employee "Tom Haverford" earned him critical praise as one of the show's breakout stars and garnerd him nominations for an American Comedy Award for "Best Comedy Supporting Actor - TV" and a NAACP image Aware for "Outstanding Supporting Ator in a Comedy Series" in 2014. Aziz has also appeared on the big screen in THIS IS THE END, FUNNY PEOPLE, 30 MINUTES OR LESS, GET HIM TO THE GREEK, I LOVE YOU MAN and OBSERVE AND REPORT and lent his voice to animated projects in both film and television.